Recently, our Huntsville Bridal Shop teamed up with some incredible local talent to create a stunning styled shoot that featured a gorgeous Lea Ann Belter gown available at our White Dresses Huntsville location. The shoot was set at a gorgeous venue in Tennessee called Sacred Stone and featured images from our amazing friend, AIS Portraits. 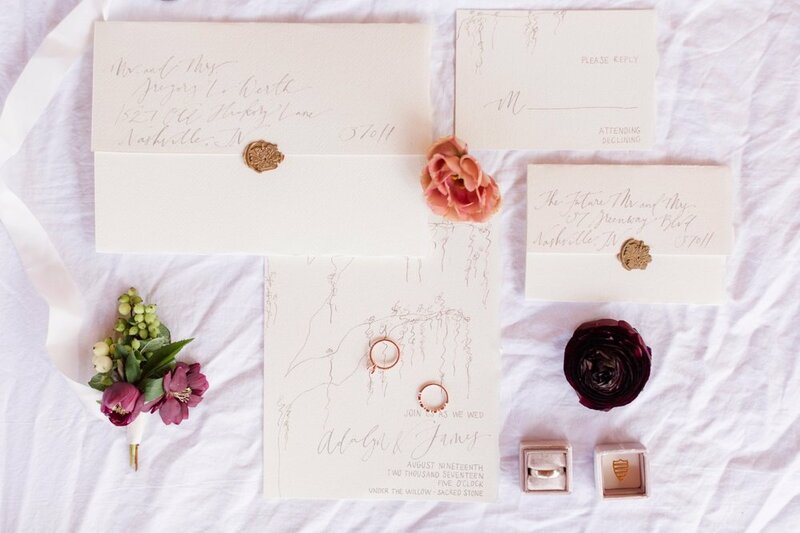 The shoot was styled by local wedding planner, Kathleen Bernal Events. 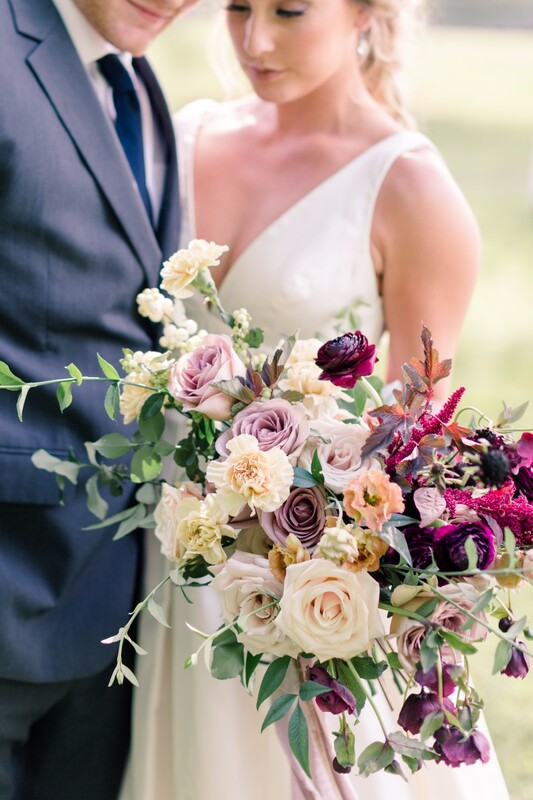 When styling the bride, Kathleen was seeking a gown that had an understated elegance and we thought the Peony gown by Lea Ann Belter beautifully fit that bill. 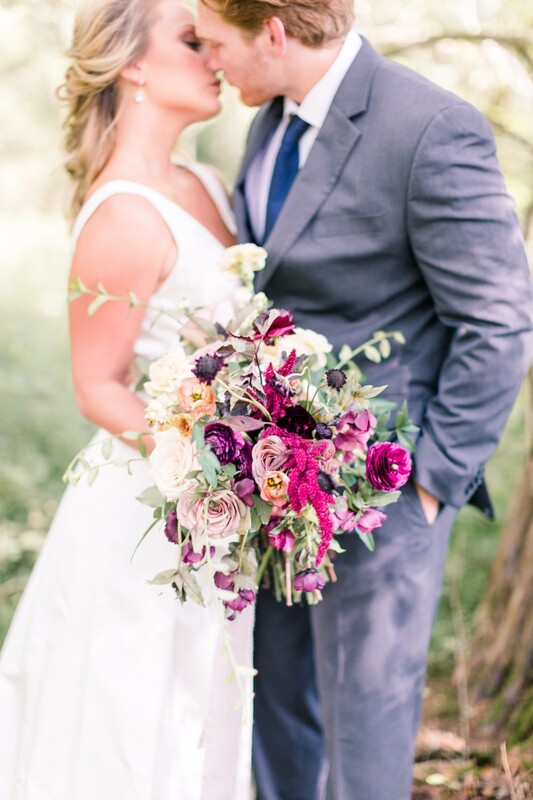 The light floral brocade fabric was perfect for the woodsy theme of the shoot. For florals, to pair with the gorgeous brocade gown, Old Frond selected amazing blooms in an array of colors. 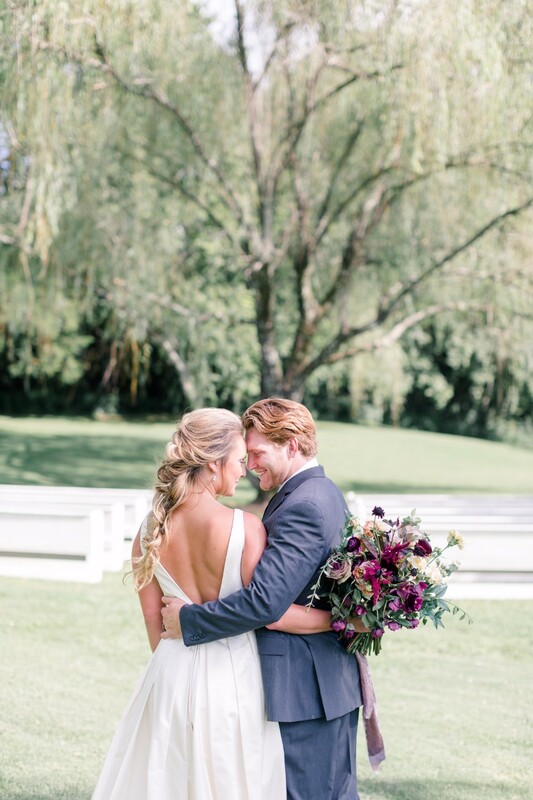 For hair and makeup, Lori Adgate from Oh Darling selected a loose braid and light colors to complement the bride's natural beauty. Perhaps our favorite components of the styled shoot were the cake and invitations — both so unique and stunning! The cake was prepared by Hamley Bake Shoppe and the invitations were created by Sealed Shop. White Dresses would like to thank AIS Portraits and the other vendors included on this shoot for their amazing contributions. Please make sure to check out the full list of vendors involved. White Dresses Huntsville is located in the quaint Village of Providence in Huntsville, Alabama. The store offers a variety of options for couture loving brides, including gowns from Hayley Paige, Blush by Hayley Paige, Lea Ann Belter, Anna Maier Ulla Maija, WToo by Watters, Willowby by Watters, and Jenny Yoo. Our Alabama Bridal Shop has been named Best of Weddings, Best Bridal Shop in Alabama, and Best Bridal Shop in Huntsville. To schedule an appointment, please call (256) 270 8895.